During two open houses held in San Luis Obispo, NRC representatives and earthquake experts listened to public comment and answered questions about how the plant would fare if an earthquake occurred on one of the neighboring faults. A study conducted by the NRC concurs with PG&E’s conclusions that ground motion produced by a quake along the Shoreline Fault would be within the plant’s existing design limits. “The Shoreline Fault has a low slip rate that is estimated to be an order of magnitude less than the Hosgri Fault, which implies that its overall contribution to the hazard is relatively limited,” the report concluded. Shell Oil discovered the Hosgri Fault in 1971. As a result of finding, Diablo’s design was changed and the plant was retrofitted to withstand a magnitude 7.5 earthquake. In 2008, a second fault dubbed the Shoreline Fault was discovered less than a mile from the plant. At its closest point, it is only 2,000 feet from Diablo Canyon’s nuclear reactors. 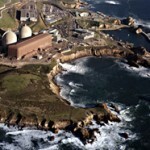 Several anti-nuclear groups including the San Luis Obispo Mothers for Peace contend that the recent PG&E study is not accurate because of the possibility that the Shoreline Fault is connected to other faults. “Don’t let PG&E continue to get away with this,” Mothers for Peace spokeswoman Sherry Lewis told the NRC. In 2009, PG&E applied for a consistency certification that is required for extending the plants operating permit. The California Public Utilities Commission determined the application was incomplete partially because of a need for updated information regarding seismic studies that had been performed by the U.S. Geological Survey and PG&E, according to a 2010 letter from the commission. However, earlier this month, the California Coastal Commission denied a request by PG&E to conduct high-energy earthquake mapping offshore of the plant in order to update information about the plants seismic safety because of concerns over the test’s projected negative impacts on marine life. Opponents of relicensing of the Diablo Canyon Nuclear Power Plant would be so much more persuasive if they didn’t argue one month that there must be more exhaustive seismic testing to protect our environment from nuclear meltdown, and a few months later do everything that can be done to block the testing to protect our environment from the temporary impacts of the seismic studies. As I read the series of articles on this subject, knowing that there is a serious scientific component focused on the long term, I can’t get the square dance out of my mind playing at the expense of the rate payers. Usually a sound plan begins with an end in mind but for some reason this is being overlooked?